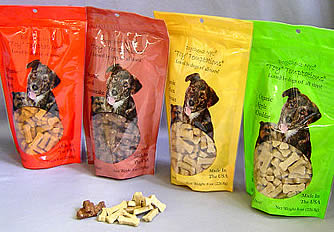 Our friend Hope, of Golly Gear Pet Supplies fame, agreed to help me out with a guest posting. I asked Hope to tell us, “based on what you’ve seen in the store, and on your experience as a Frenchie owner, what are the BEST toys and treats for French Bulldogs?”. I wanted toys that could stand up to chewing, and were interesting enough to keep the attention of our little ADD darlings. 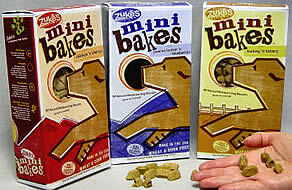 I also wanted treats that were healthy and free of gross, icky ingredients (corn syrup? 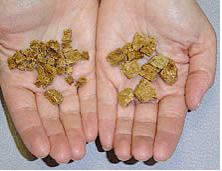 in pet treats? no thanks!). Here’s Hope’s list – any of the gifts are available by clicking on the links. If you want a really NICE holiday idea, why not order one or two extra toys, and have them sent to French Bulldog Village Rescue? I bet if we asked Hope, she’d make up a box for them, and send them all at once. 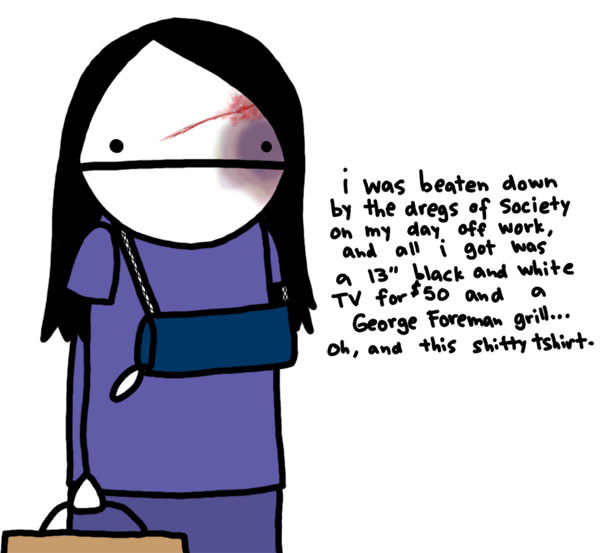 The sad little misfits over at FBV sure could use a nice, new holiday surprise. 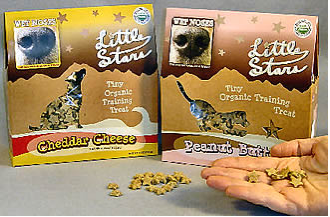 One ingredient – either Fish or Cheese, dehydrated, easy to carry, and irresistible. 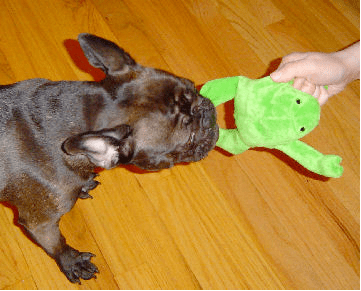 No stuffing, two squeakers in each – stands up (for a time) to a Frenchie standing on it and trying to pull its head off. Any gift list for a Frenchie has to include treats! 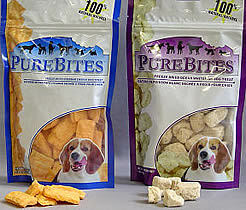 These are all-natural, small, and taste great (or so the dogs tell me). 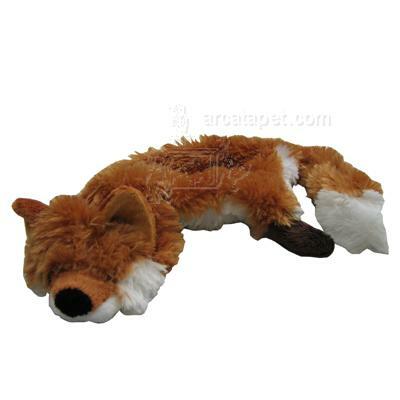 They crinkle, they squeak, they’re durable and cute! All natural, organic and adorable! Available in Chicken/Parmesan, Carob Cheesecake, Pizza and Apple Cheddar flavors. 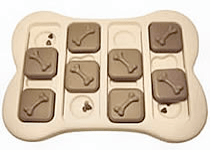 Keep that Frenchie mind busy – you know yours will find the treats! Also known as Puppy Crack. ‘nuff said. When a good game of fetch and tug is in order. Just a little something for motivation! 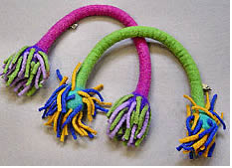 Fun to toss and tug, soft and squishy to snuggle. Have a Happy Frenchie Holiday! Awww! Everything’s cuter when kids re enact it. Happy Turkey Day, Yankee friends and family! Try not to get crushed in a Target store shopping scrum! 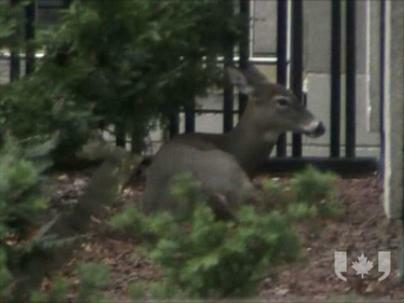 What happens when a frightened young doe wanders out of her usual range, and into the heart of downtown Toronto? We call a dozen cops from the Emergency Task Force. Toronto Police Force Takes Down Dangerous Criminal. Criminal Deer. Start with a dozen police constables. Add another dozen police from the Emergency Task Force in grey jumpsuits and bulletproof vests — armed with dart guns, Tasers and a big sort of fishing net — plus two vans from Animal Services and a senior veterinarian from the Toronto Zoo. Give them four hours: they will get the job done. A busy street near Toronto City Hall bristled with these armed men this morning — all focused on a tiny plot of grass, trees and hedges next to a 15-storey building of medical labs, optometrists and dentists. There sat a doe, two to three years old, about 90 kilograms. She turned her head from side to side, her pointed dark brown ears filled with the roar of the city. Around the deer fluttered yellow crime scene tape, tied from stop signs to bicycle locking rings. Ten photographers and TV cameramen trained their lenses on her. The Globe and Mail mentioned that a few people were surprised at the amount of fire power on the scene. One welder at a construction site across the street from the building, who didn’t want to be named, said the scene was startling at first. But, hey – it’s not like they over reacted or anything. These are ferocious, wild creatures we’re dealing with here. Just ask Toronto Police Sergeant Winston Bennett. Around 11:30 a.m. ET, officers from the task force held up nets near where the deer had settled. With help from a veterinarian from the Toronto Zoo, it was shot with a tranquilizer gun. After being hit by the dart, the animal rose up and rushed into the street, approaching some of the officers. That’s when an ETF officer tasered the animal, bringing it to the ground. 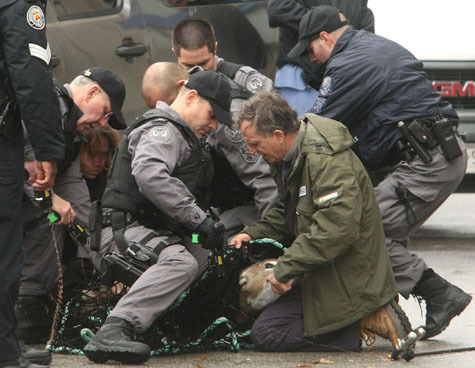 Police and animal control officers surrounded the deer and trapped it in one of the nets. The deer, which wasn’t moving, was then placed in the back of a van. Police superintendent Hugh Ferguson says the deer is still alive and is being handed over to animal control. A vet was in the van to monitor the creature while it was being transported. Anyway, before you go thinking that the Toronto Police over reacted, you should know that there is the distinct chance that the so called ‘deer’ was actually a cleverly disguised Pit Bull. Film footage of the very worried deer trying to take a nap is after the cut.